As reported last Thursday the 19th, CNBC Reporter, Rick Santelli expressed the growing frustration of many Americans and announced he was going to hold a tea party on July 4th in Chicago. No one is doubting Santelli’s passion, but his ability to carry out the excellent notion of sending a clear signal to Pres. Obama and Congress that it is wrong for Americans who work hard and play by the rules to bail out businesses and citizens who have failed to make good decisions. Santelli’s ability to move forward with an actual tea party are in doubt for the obvious reason that he is employed by what has become the most liberal set of news networks in the country. While CNBC is arguably the least propaganda-spewing network of the NBC family, it is still NBC. It’s important to remember that NBC is owned by GE, which couldn’t be more in the tank for the Lefist agenda, and has its tentacles into far too many places. Unfortunately, we cannot wait for the bold Rick Santelli to make a move. A group of organizations have decided to move forward with a tea party, right away, in Santelli’s honor. 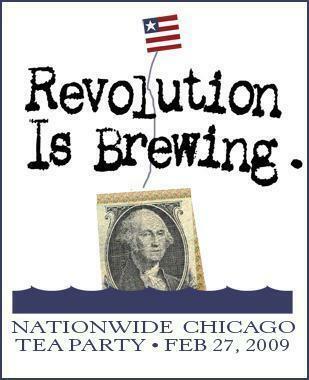 American Spectator magazine, TCOT, Smart Girl Politics, Heartland Institute, Don’t Go, and Americans for Tax Reform are sponsoring the Nationwide Chicago Tea Party this Friday, February 27, 2009 at Noon central time. The two primary events are to be held in Washington, D.C. and Chicago. Other cities are getting organized across the country. All events will be held at NOON EST. A simultaneous Twitter Tweet Chat, connected to all of the events will be conducted for people who are not located near an event or who cannot attend a physical location. Be sure to click on the blue link entitled “Online Form” to see list of cities and to make comments. You can also join the Twitter Tea Party group. Are you already on Twitter and want to follow me there, just click on the Twitter button. Fox News Channel is part of the mainstream media. Pathetically, unless you want to spend an entire broadcast yelling at the pinheaded, kool-aid drinking anchor, its the only available news network. It is better than most other networks because there are some real conservatives available by way of some guests and Sean Hannity, but let’s not fool ourselves. It’s becoming more “mainstream” (mainstream = out of touch) by the minute. In some ways, its no surprise; there’s little investigative journalism anywhere in the news business these days, and cable news spends too much of its time myopically covering and recycling the same small handful of stories. Fox has always had somewhat of a tabloid-type flavor to it, especially during non-primetime hours. Ever turned the channel on from about 9AM – 5PM (central)? Besides Neil Cavuto’s Your World (including when delightful fill-in Stuart Varney makes an appearance) and the occasional Megyn Kelly smackdown, you can see as much footage of overturned semis on I-90 near Atlantic, Iowa, as you can handle. It doesn’t help the network’s “cred” rating, in my opinion, that every woman on the network besides Julie Banderas must have her colorist on speed-dial to touch up those roots. Even in primetime, the situation is sketchy. Mr. Mountain-sized Ego, otherwise known as Bill O’Reilly, prides himself on being one of the toughest interviewers on television. Poppycock. If ranting, turning red, and pointing fingers at the camera and screaming, “Coward!” at Barney Frank passes for “toughness” then I’m a monkey’s uncle. (And that can’t be; I’m a woman.) Instead of playing the miles of footage of Barney Frank attacking regulators of Fannie Mae and Freddie Mac, and confronting him, loopy statement by loopy statement, Mr. Ego pitched a fit. What was worse than that was O’Reilly’s coverage and interview of Barack Obama. Who does his research? Skipping over the birth certificate question (which is a diversion), the “he’s a Muslim” dead-end, where was the coverage of everything else? He said, “I don’t have a problem with Mr. Obama.” Super. Then, the night before the election, he and regular contributor, Dennis Miller, giggled their way through a conversation that was essentially about how ridiculous it was that Barack Obama was about to be elected. Joe Wurlzebacher revealed more for us about Barack Obama with one question than Bill O’Reilly did in twenty minutes. Yeah, he’s real tough. The biggest problem, I have, though, is with Brit Hume’s daily show, Special Report, and his overall coverage of Election 2008. He is managing editor of his own show, so he must have some input into the members of his illustrious “All-Star panel”. The same tired parade of people is rotated and recylced for all election coverage, which Hume anchors. Nary a real conservative in the bunch. There have been random appearances of Bill Sammon, formerly of the Wall Street Journal, and now deputy managing editor at Fox News, and he’s a straight shooter, but that’s about it. First of all, would someone please, please poke Mr. Hume with a stick? For at least six months, he’s been nearly napping his way through his on-air time. Sometimes when the camera moves onto him after coming out of commericial break, especially on longer nights during the primaries and debates, his mouth is literally, hanging open. Someone hand the man a napkin, he needs to wipe the drool off the corner of his mouth. He’s gone into retirement a little too early. Regulars on Humes glittering panel include Juan Williams, of NPR, who committed random acts of actually rational analysis of Mr. Obama’s troubling background, during the primary season, but nearly burst into tears the night Obama gave his convention speech in front of those Grecian columns in Denver. NPR is not under-represented on Hume’s panel; there’s also the penetrating Mora Liason. About a week and a half before the election, the esteemed panel was discussing the wisdom of the McCain campaign beating the “William Ayers” drum. Liason actually stated, “Ayers was just someone who lived in Obama’s neighborhood and their kids went to school together.” Nary a word from Hume or anyone on the panel to correct her. The statement was a virtual copy of the answer David Axelrod floated after the question of the extent of Obama’s association with Ayers first surfaced during the primaries. There’s at least a twenty year age difference between the Obama and Ayers children, and the relationship between the two has proved to be very extensive, reaching back at least to 1995, possibly 1987, when their wives worked at the same law firm in Chicago. Obviously, all of these “stars” are just filling air time, not actually have real, informed discourse on real issues that affect real people. Other regulars include Mort Kondracke of Roll Call, Bill Kristol and Fred Barnes, Executive Editor of the Weekly Standard, Nina Easton of Fortune, and syndicated columnist Charles Krauthammer. Nina Easton was widely quoted on Fox during “Bailout Fest 2008”, including in a David Asman piece that attempted to carefully dissect the entire debacle. It was one of the best pieces of journalism on the subject, truly, but trotting out Easton, who repeated her favorite phrase everywhere possible, “The people on Main Street don’t want to bailout the ‘Wall Street Fat Cats'” was insulting to our intelligence. It didn’t help that Asmen introduced the clip of the wise Easton by saying, “Many Americans just don’t understand.” Easton was able to work in her take on the bailout on several occasions during her turn on Hume’s “panel”. But that wasn’t her only gem. My personal favorite was her statement during a discussion of the media’s bias in favor of Obama. I wish I could remember her exact words, but she literally looked perplexed when her turn came and said that she didn’t think it would really effect the outcome of the election. Krauthammer and Kristol are definately the most thoughtful of the bunch. One hears decent insight from them on occasion. Unfortunately, like the overwhelming majority of pundits, they are looking at the world through their permanently fixed inside-the-beltway prisms. The most ridiculous moments are when they are asked what the American people, or the electorate specifically, are “feeling” about a particular policy or event. 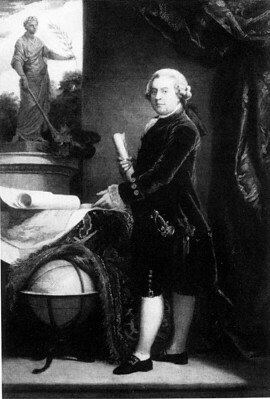 The most egregious offender attending Hume’s tea parties is Fred Barnes. If one didn’t know better, one would often think Mr. Barnes was the editor of a liberal publication. Listening to him talk makes me want to reach through the TV and punch him right between the eyes. On Thursday, during the august panel’s pontification on intepreting the outcome of the Presidential race, Mr. Barnes informed Republicans that they must recognize that they have to change their strategies moving forward; essentially, they must move to the left. But this was the second night in a row that “conservative” editor Barnes had made that kind of statement. And this is just another in a long line of the same kind. As a “conservative” he wasn’t too bothered about the Bailout bill. At least Bill Kristol was clear that it was going to be a bad piece of legislation. Perhaps I shouldn’t pick on Mr. Barnes quite so much. He’s probably taking the brunt of my frustration on the whole issue of perhaps well-intentioned “conservatives” in Washington who have not clue one as to how the majority of American people “feel”, do not do any real homework, do not call eachother out when one of them spews falsehoods, and observe “crisis”‘ situations in the same bored, lofty voices as they would commenting on the weather. The whole panel needs to be scrapped, along with its moderator. There isn’t one, real tough-but- fair questioner on all of news after 3:00Pm (central). If Fox wanted real probing questions, and real diversity of real opinion, they would put Neil Cavuto or Stuart Varney in Hume’s time slot. The “All Star” panel should be turned into the “All America Panel” and have one articulate pundit from each side of the aisle, and rotate through a group of articulate, “average citizens”, two at a time, one from each side of the aisle, each night. I’d start with Joe the Plumber on the conservative side. A conversation among that kind of group would prove far more interesting than the elitist pap that’s served up by the “All Star panel” everynight.